I could eat this salad every day! 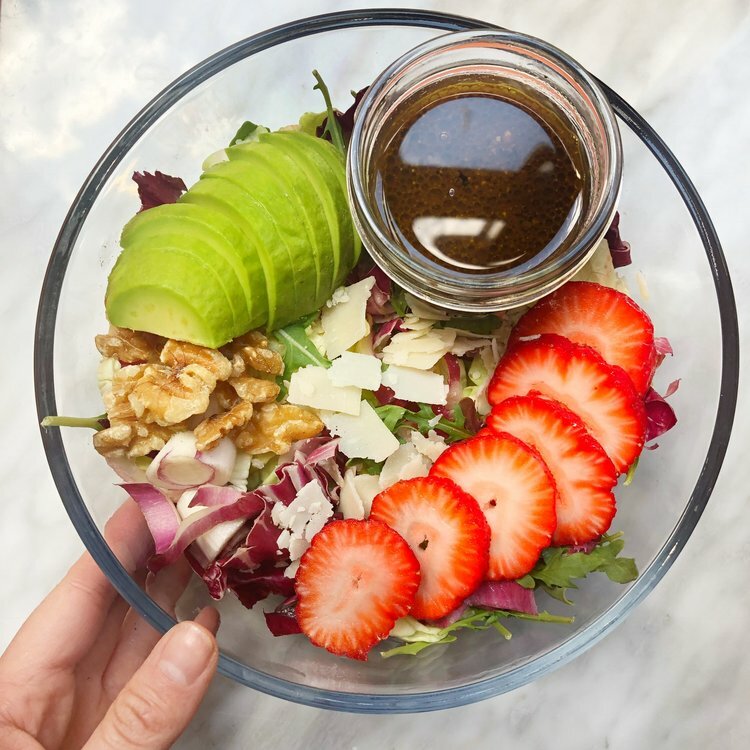 The combination of the dijon/balsamic dressing with the sweetness of the fresh strawberries and saltiness from the parm is like magic in your mouth! So good and always a crowd pleaser! Perfect for a side at a summertime BBQ or for a midday pick-me-up/BYOL during the workweek.